This is the place we had been renting from another owner for years. He decided it was time to sell and we couldn't help ourselves. We HAD to buy it! 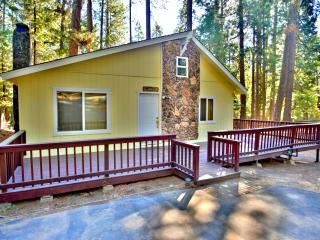 This was one of the very first cabins ever built in Twain Harte. The original owner built it himself with trees cut down in the area.